Governors Gun Club is again proud to be hosting another Clinic in a serials of special military firearm master clinics. Our next course is a little different. We are going to provide a clinic on several historic rifles at one time, so the name Historic Rifles Clinic. 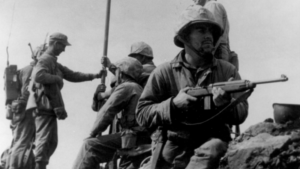 The discussions will involve firearms from WW1 to the Vietnam War. This course will be a great way to see, feel and understand the changes to military rifles throughout the years. Students will expect to get some hands-on time on our ranges with these weapons, so come ready to shoot! Sue holds four National Match Winner’s Plaques for the High M1 Garand Award. 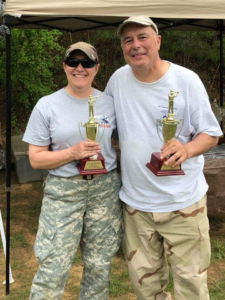 She also holds expert ratings with the NRA for High Power Rifle and is a member of the Georgia Blind Hogs Shooting Team which has set a new national record at the National Matches held at Camp Perry, Ohio which is still held today. Jack is a winner of five National Match Winner’s Plagues and is a Garand-Springfield-Military Vintage Bolt Civilian Marksmanship Program (CMP) Master Instructor and has worked with many acclaimed gunsmiths who have maintained and accurized the M1 Garand.